Let’s be realistic, for the average, middle class family, a new house can cost an arm and a leg without the expense of home furnishings. Of course, that doesn’t mean you can’t transform your new house into a beautiful home when on a tight budget. 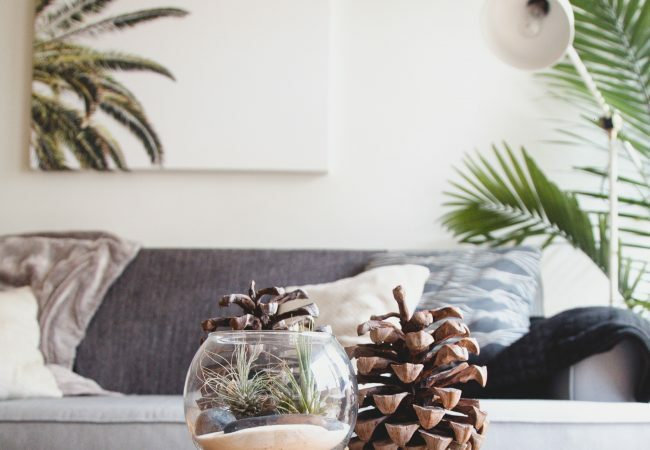 Typically, shopping for furniture and decorative household items is known to be an expensive affair; however, nowadays, there are a couple of loopholes that allow you to dress up your house for a much lower cost. To help you create the interiors you’ve been dreaming of (without compromising on quality), we’ve come up with some useful low-budget ideas to decorate and furnish your home. Read on! The cost of purchasing furniture from a retail store can be pretty pricey, especially if you’re looking for quality. While the old saying “you get what you pay for” holds true, there are several craftsmen that make and sell high-quality furniture for a living – at much lower rates. Not only are these pieces incredibly durable, but you can also have your furniture custom-made (for a slightly higher price, of course). The bottom line is that you can find some awesome, functional pieces of furniture that will stand the test of time, look great in your home, and not cost you a fortune! The cost of reupholstering old furniture is significantly cheaper than buying new pieces of furniture. Often times, homeowners look to purchase new sofas and chairs when a good re-upholstery job is enough to make old ones look brand new again! What’s more, you can customise the upholstery to suit your taste and match your home interiors better than a readymade upholstered couch. You can also find many secondhand sofas and chairs that are in good condition and ready to use. Of course, it’s always advisable to replace the cushions or upholstery when using a secondhand couch. Nonetheless, it will save you a ton of money! Spend a little extra time to search for furniture stores or large online retailers that are having sales and offering good discounts. It may take some time to find something ideal, but it will surely be worth it if it means getting a quality piece of furniture for a bargain deal. In fact, most people refrain from paying retail for furniture because there is always something on sale elsewhere. Remember, purchasing furniture for a new home requires patience in order to fit everything on your list into a budget. Special offers, clearance sales and bargain deals will help you do just that if you spare some time to find them! It’s simple; the use of multi-purpose furniture means having a minimal amount of furniture in your home which not only saves space, but money as well! When you buy furniture that serves more than one purpose, it eliminates the need to buy extra pieces – it’s win-win! On top of this, there are various types of multi-purpose furniture, many of which are guaranteed to serve your home requirements. Again, you can find good deals online or simply look for sales to save some bucks. Sometimes, finding a good deal can be right around the corner. Join a couple of local Facebook groups to enquire about secondhand furniture or any upcoming garage sales and the likes. For people that are planning to move away or get rid of some stuff, the first place they advertise (for the same) is online. Facebook groups are always a good place to start because, more often than not, sellers will look for buyers nearby to save on transportation costs. On the other hand, if the buyer must incur these costs, it won’t be much since it’s close by. An additional plus point is that you don’t have to go far to take a look at the piece before you decide whether or not it’s worth it. If you scroll through your social media feed long enough, you’ll find a number of shared videos/tutorials that show you how to make various types of household decorations in the simplest of ways. From using scrap items, to transforming a plainly designed item into something beautiful and functional; DIY home decorations can be a really fun weekend project for you and your family. Moreover, it gives you time to bond with your kids, as well as the satisfaction of creating your own little masterpieces! Remember, the key to staying within a tight budget when looking for furniture and home decor for a new house is to take your time, do your research, and go the extra mile to create your dream home interiors! How to Make an Idle Garden Beautiful and Functional!